Games of Thrones Season 7 is coming! Calling all Games of Thrones fans to celebrate the return to Westeros, Grab and Astro are giving you the chance to win a once-in-a-lifetime Game of Thrones Experience. 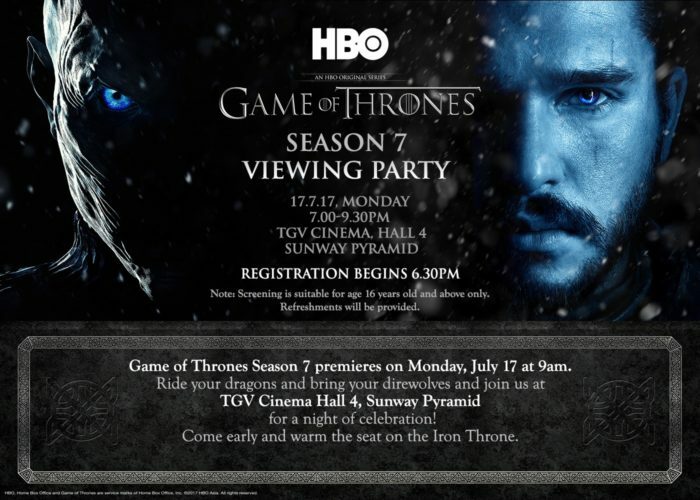 Winners will attend the exclusive cinema screening, bring home exclusive merchandise, and sit upon the Iron Throne itself! Just book as many GrabCar rides using the no-discount promo codes #GRABSTARK, #GRABTARGARYEN or #GRABLANNISTER based on your allegiance. 10 passengers with the most rides using the no-discount promo codes will win the GOT experience. This is a “Zero Value Promotion”, which means it is NOT a free ride and normal Grab fares still apply. Select your preferred ride icon on the Grab app. Key in your desired Pick-up & Drop-off locations and use the promo code in the Promo field. Tap on Book and enjoy your ride! Campaign period: 12-14 July 2017. This promotion is only valid for GrabCar economy, GrabCar Premium, GrabShare, GrabCar 6-seater, GrabTaxi budget, GrabTaxi Executive in Malaysia only. All bookings must be made in Grab App. Promo code a zero value promo. 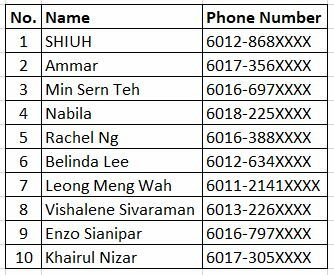 10 lucky winners will receive a call or SMS from Grab by 15 July 2017, subject to change. Games of Throne experience inclusive of cinema screening, official merchandize and sitting on the Iron Throne is subject to change, depending on availability. The Campaign will run from 12 – 14 July 2017 only. The Organiser reserves the sole and absolute right to alter or end the Campaign at any time prior to the expiry of the Campaign Period without giving any prior notice and no compensation in cash or in kind shall be given.